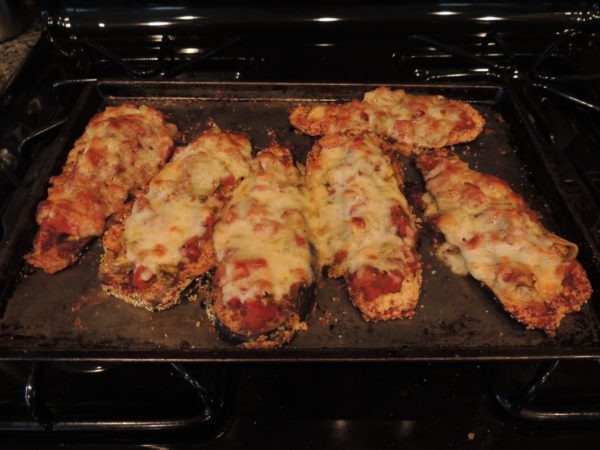 This lightened-up version of eggplant Parmesan is a lovely dish to serve at a party or luncheon. We also bring leftovers in our lunch bag to eat cold or heat up in a microwave or oven. Slice eggplant lengthwise to make luncheon-size servings, or slice across to form small, round pieces to serve as appetizers. 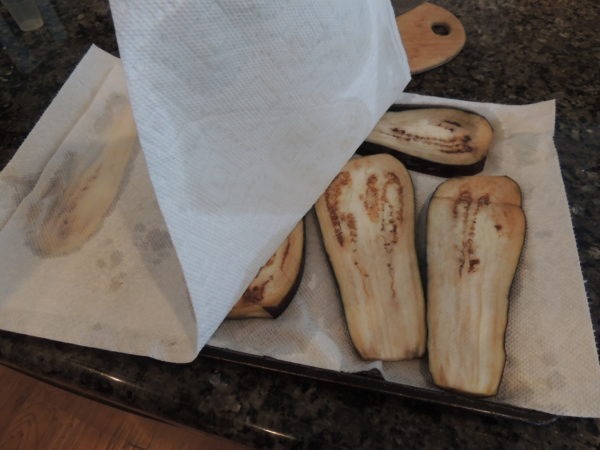 Rinse, but don’t peel the eggplant. Trim a thin slice off the top and bottom. If serving as a meal, cut lengthwise into 6 to 8 (1/4-inch-thick) slices. For appetizers, cut across to form smaller round pieces. Preheat oven to 400 °F. Spray oil onto baking sheet. 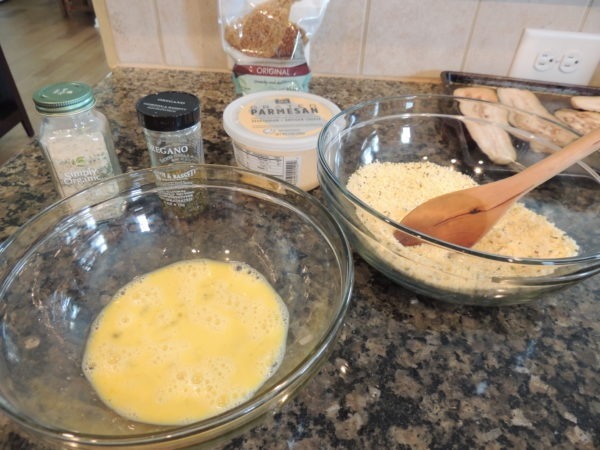 Mix breadcrumbs, Parmesan cheese, and oregano in a large bowl. Combine egg with 1 tablespoon water in a medium bowl, and lightly beat with a whisk (or fork). 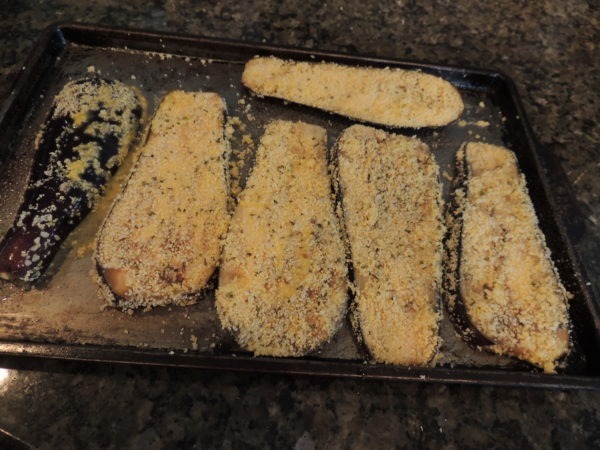 Dip each slice of eggplant into the egg mixture, then dredge in the breadcrumb mixture. Place on the greased baking sheet. Bake 15 to 20 minutes, or until lightly browned. 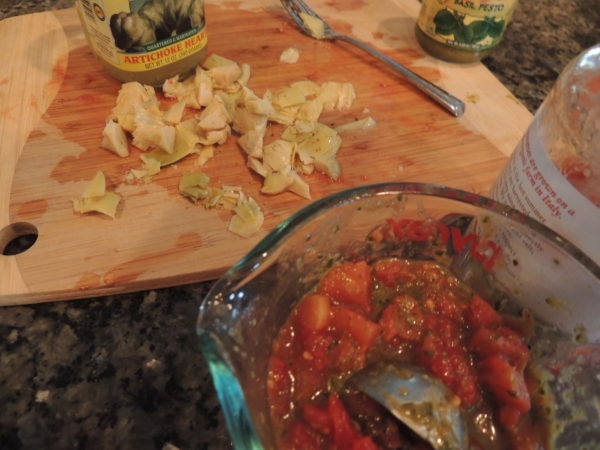 In the meantime, chop tomatoes and optional artichoke hearts. Place in a small bowl and add the pesto, stirring well. 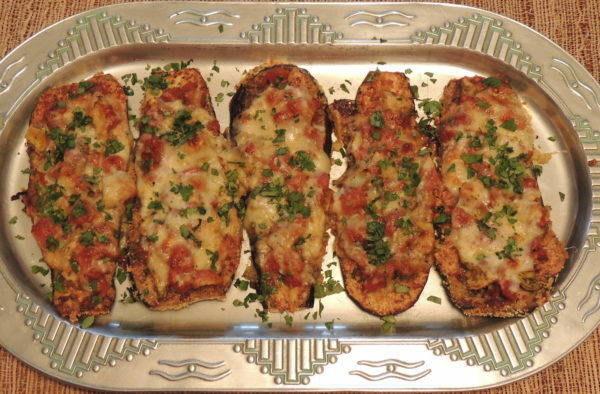 When eggplant is done on the first side, remove from oven and flip the slices over. 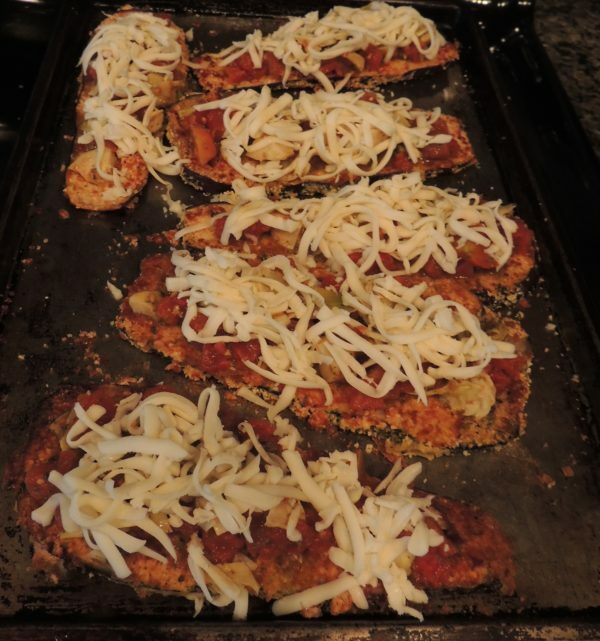 Top each slice with equal amounts of the tomato mixture and a sprinkling of grated mozzarella, until all has been used. Return to the oven and bake another 10 to 15 minutes until brown and bubbling. Arrange slices on a plate then garnish with parsley (or basil), if desired.